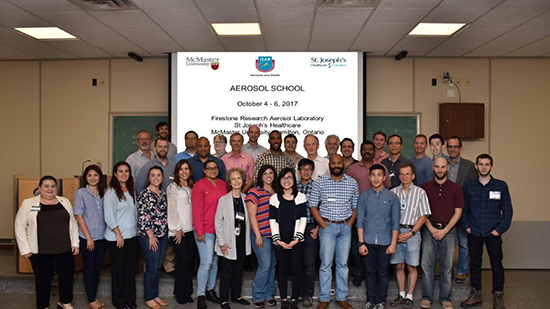 Aerosol School is an intensive three day curriculum designed to provide the didactic background and practical laboratory hands-on experience to quantify and characterize medical aerosols. Upon completion of the program, participants should understand the measurements and techniques utilized in commercial pharmaceutical and biotech laboratories as well as academic research. 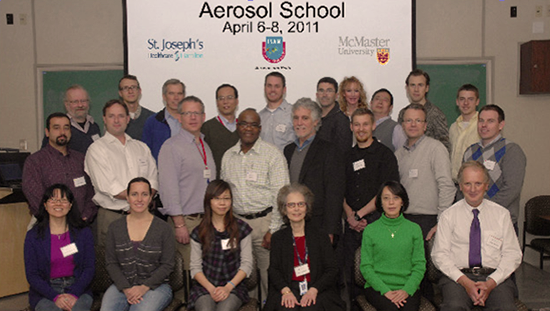 The curriculum is a perfect primer for anyone interested in measurements of medical aerosols, whether for industry or clinical research. 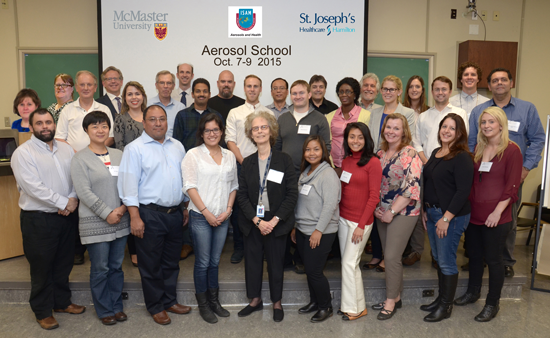 The ISAM/St Joseph’s Healthcare/McMaster University Firestone Institute for Respiratory Health’s (FIRH) Aerosol School is a three day teaching program, led by Prof. Myrna Dolovich (1st row, 5th from left), offering expert information and training in the field of medical aerosols. 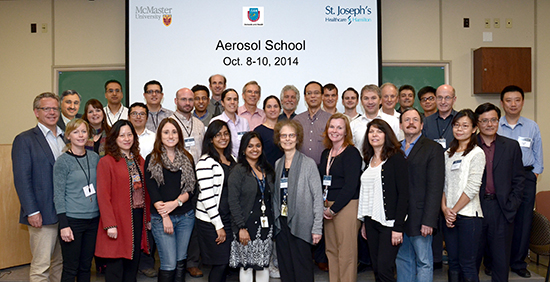 Through the program, participants learn the range of measurements, techniques and approaches to drug development and inhaler design used in academic laboratories and pharmaceutical industry aerosol labs. 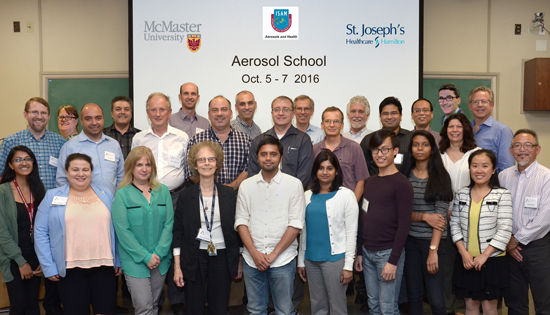 In 2016, the program ran from October 5th to 7th with faculty members representing aerosol scientists, engineers and clinicians. The program offers a wealth of knowledge through the two components of the program: lectures and in-lab learning. 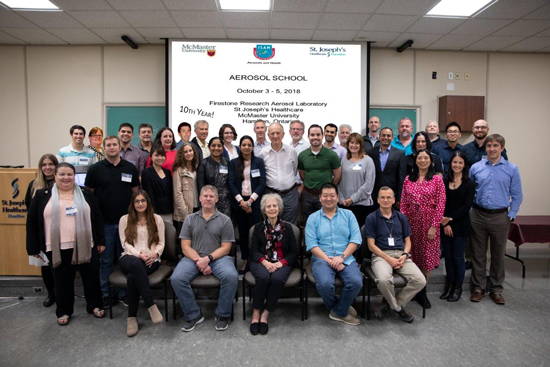 Program fees, which are waived for up to five students, cover copies of the course material, a USB key that contains more information and a 1-year membership in the International Society of Aerosol Medicine (ISAM). 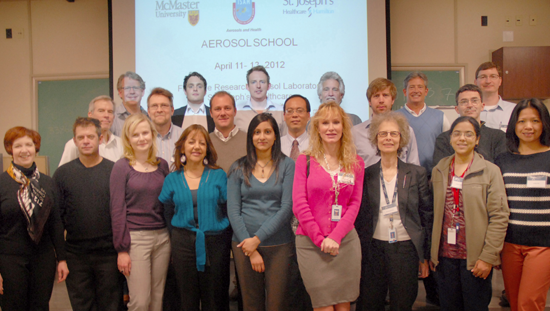 ISAM is comprised of aerosol experts who are dedicated to all aspects of aerosol research in medicine. In the nine years that this program has been running, approximately 175 students have completed the training, many of whom have come from as near as the USA and as far away as Sweden, Mexico, Brazil, UK and Taiwan.